The French government posthumously awarded Chester Hendrickson ’42 the Jubilee of Liberty Medal for his service and work in Normandy during World War II. 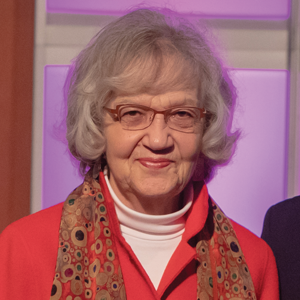 Grace (Kemmer) Sulerud ’58 received a Spirit of Augsburg Award at Homecoming for her faithful service to Augsburg across her time as a student, librarian, faculty member, and alumna. After graduating from Augsburg in 1958 with a degree in English, she became a junior high English teacher and an elementary librarian in U.S. Air Force Department of Defense Schools in Germany, Japan, and Libya. 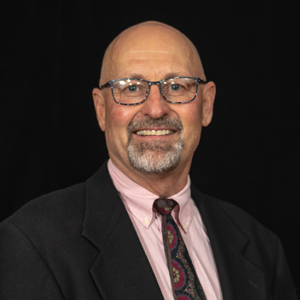 Sulerud earned master’s degrees in library science and English, served as the treasurer of the Augsburg Associates, and continues to stay involved at university events. She personifies Augsburg’s calling to humbly serve in a variety of ways. 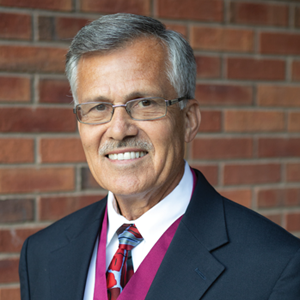 David J. Melby ’68, Ph.D., received a Distinguished Alumni Award at Homecoming and was recognized as a psychologist, executive leader, and advocate who embodies faithful service in true Auggie form. 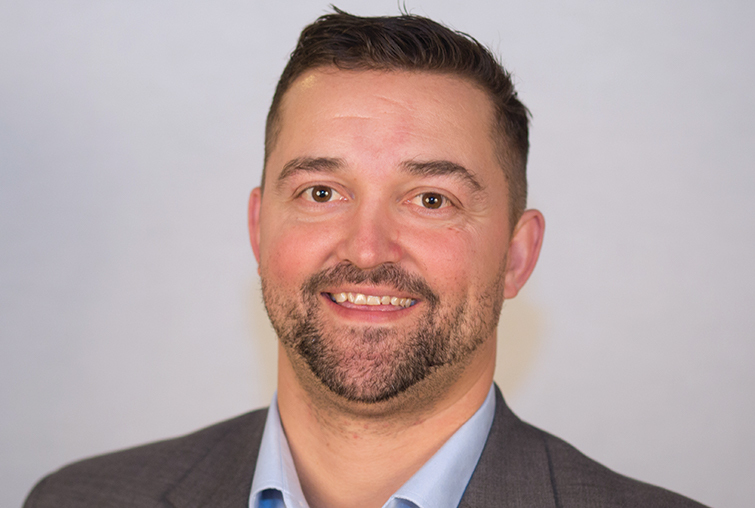 With a bachelor’s degree in psychology from Augsburg and master’s and doctoral degrees in counseling psychology, he has worked as a CEO and has served on the boards of organizations relating to behavioral health care, health practices, and housing. As a thoughtful steward and responsible leader, his work has created healthier, more fulfilling lives for many. 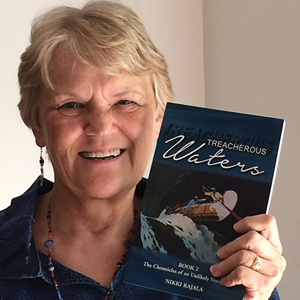 Nikki Rajala ’70 published “Treacherous Waters,” her second novel in the “Chronicles of an Unlikely Voyageur” series. A career ESL teacher, Rajala retired from the St. Cloud School District in 2004 and lives in Rockville, Minnesota. The St. Michael-Albertville (Minnesota) Coaches Association Hall of Fame Committee selected Darrell Skogan ’71 as a Hall of Fame inductee. This fall marks Skogan’s 51st season as statistician for the school district. He also has umpired, run clocks, and coached girls’ basketball and softball throughout his tenure with the district. John Sherman ’72 was honored with two awards for his work as a sports journalist. Sherman received the Outstanding Media Award from the Minnesota State High School League and the Spinnaker Award from Minnetonka School District. While at Augsburg, Sherman was the editor for the school newspaper and played baseball and soccer. Since graduating 46 years ago, he has served on the Sun Newspaper staff in Edina, Minnesota. Terry Lindstrom ’73 and Mark Johnson ’75 joined the Augsburg University Board of Regents. Learn more about the new Augsburg Board of Regents members. 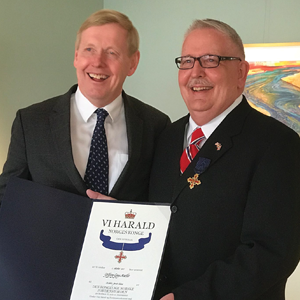 Jeff Mueller ’76 was honored by Norway’s King Harald V, who bestowed the rank of Knight First Class in the Royal Norwegian Order of Merit. Mueller, director of administration and finance at Norway House, Minneapolis, is a past president of the Norwegian American Chamber of Commerce and currently serves on its board of directors. He also has been active in the Syttende Mai Committee, the Norwegian Independence Day celebration, the annual troop exchange program with the Minnesota National Guard and the Norwegian Home Guard, and Torske Klubben. Mueller (right) is pictured with Norwegian Ambassador to the U.S. Kåre R. Aas, who presented the order of merit medal at Norway House. Augsburg Athletic Director Jeff Swenson ’79 explains how the university’s dome gives Auggies a competitive advantage. Read more about the Augsburg Air Structure. 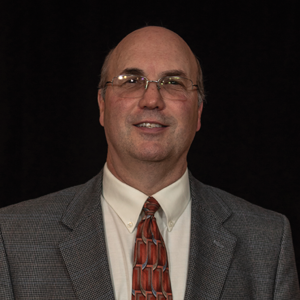 Augsburg Athletic Hall of Fame inductee Jeff Andrews ’82 was a key defender on Auggie men’s hockey teams that won NAIA national titles in both 1980–81 and 1981–82, while winning MIAC titles and reaching the NAIA tournament all four years of his career. Andrews accumulated 29 goals and 60 assists for 89 points in his college career, and he earned All-MIAC honors in 1981–82 and All-MIAC Honorable Mention honors in 1980–81. 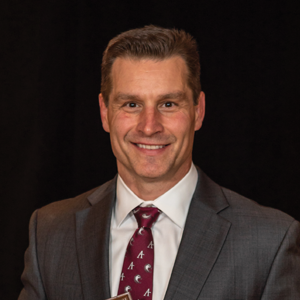 Former basketball star Brad Nelson ’82 was inducted into the Augsburg Athletic Hall of Fame. An All-MIAC guard in 1981–82, Nelson was a three-year member of the Auggie men’s basketball team, averaging 12.0 points, 2.6 rebounds, and 2.9 assists per game in his career. He averaged 20.5 points, 4.7 rebounds, and 4.4 assists per game on Augsburg’s MIAC runner-up team in 1981–82, and averaged 7.8 points on the Auggies’ MIAC title (later forfeited for use of an ineligible player) and NAIA national tournament team in 1980–81. The HGA firm hired Mary Claire Olson Potter ’84 as a health care business developer and senior associate. 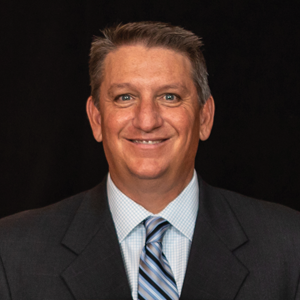 Mayo Clinic Health System— Franciscan Healthcare named Dr. Paul Mueller ’84 the vice president of its Southwest Wisconsin Region. As a regional leader, Mueller will manage operations out of La Crosse, Wisconsin. He completed his undergraduate degree at Augsburg and has spent the past nine years chairing Mayo Clinic’s Division of General Internal Medicine in Rochester, Minnesota. 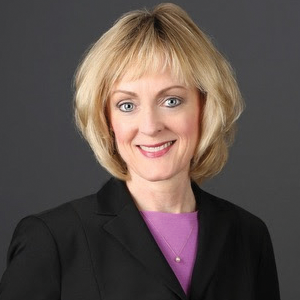 Nancy Mueller ’85 joined the Augsburg University Board of Regents. Learn more about the new Augsburg Board of Regents members. Darcey Engen ’88 employs perspectives both as a student and as a faculty member to plan Augsburg’s sesquicentennial celebrations. 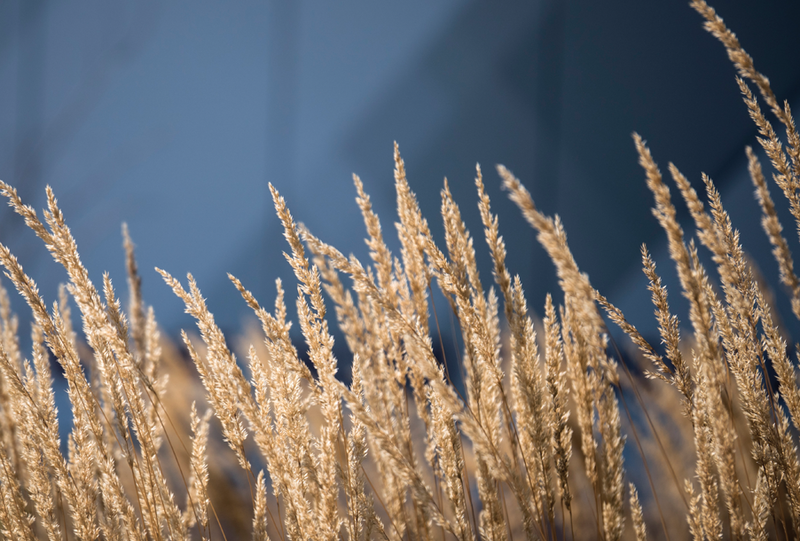 Learn more about the Augsburg’s 150 Anniversary celebration. The U.S. Track and Field and Cross Country Coaches Association announced that Carolyn (Ross) Isaak ’89 was inducted into the NCAA Division III Track and Field Athlete Hall of Fame in May. Isaak set several records as an Augsburg athlete, including the 400-meter hurdles record that stood until 2014. Isaak, a five-time national champion and nine-time All-American, is Augsburg’s first athlete ever to be inducted into this Hall of Fame. Literary scholar Devoney Looser ’89 was awarded a Guggenheim Fellowship in 2018 and will complete a biography of forgotten sister novelists. Read more about Looser. Brynn Watson ’89 received a Distinguished Alumni Award at Homecoming. 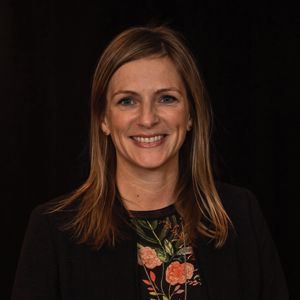 She is an award-winning leader in the aerospace industry for her technical experience, executive leadership, and tireless advocacy of STEM education for youth. 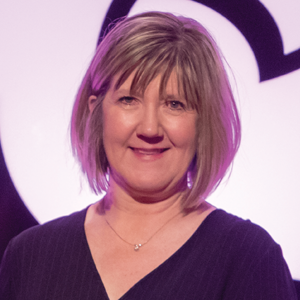 She earned a mathematics degree from Augsburg and a master’s degree in applied mathematics before she gained several director- and vice-president-level positions in technology and engineering companies. She now serves as vice president for the Future Enterprise Program for Lockheed Martin. Watson’s spirit and accomplishments mirror the tenacity of Auggies around the world who ascend to prestigious positions among today’s leading companies. 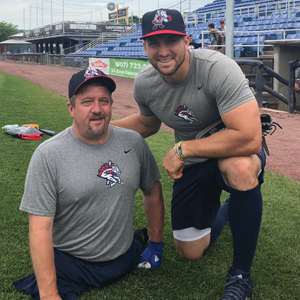 In June, former Augsburg football player David Stevens ’90 hosted a Disability Dream and Do Camp alongside the Binghamton Rumble Ponies, an American minor league baseball team based in Upstate New York. CBS affiliate WBNG covered Stevens’ story and time with the Rumble Ponies. Stevens, who led six other athletic camps this summer, was the only double amputee to play three seasons of football for the Auggies. He later played for the St. Paul Saints and tried out for the Minnesota Twins and Dallas Cowboys. Wrestling star Randy Eastman ’95 was inducted into the Augsburg Athletic Hall of Fame. 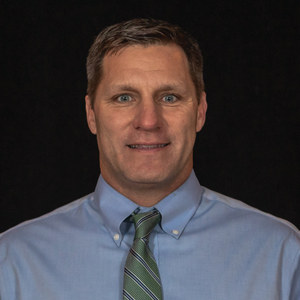 Eastman was a three-time NCAA Division III All-American in the 167-pound weight class, finishing second nationally in the 1994–95 campaign, third in 1993–94, and fifth in 1992–93. A transfer from Mankato State, he was a member of Augsburg teams that won the national titles in both 1992–93 and 1994–95, while finishing fourth in 1993–94. Eastman won two MIAC titles and was a conference runner-up in his Auggie career. Augsburg Athletic Hall of Fame inductee Tom Layte ’95 was a dominant wrestler for the Auggies in the mid-’90s. Layte competed at Augsburg in the 1994–95 season after transferring from Western New England College, and he made the most of his Auggie campaign, going 44-4, winning the NCAA Division III national title at 150 pounds, and earning Outstanding Wrestler honors at the national championships as the Auggies won the team national crown. He later served as an Augsburg assistant coach and was head coach at the Massachusetts Institute of Technology. Augsburg volleyball star Carolyn Tuohy ’95 was a dominant player in the mid-’90s, playing three seasons as a middle hitter, earning All-MIAC honors in 1994, and receiving All-MIAC Honorable Mention honors in 1992. Tuohy, who was inducted into the Augsburg Athletic Hall of Fame, was a team co-captain in 1994 and finished her career with 878 kills in 2,566 attack attempts. She was voted the team’s MVP in 1992. 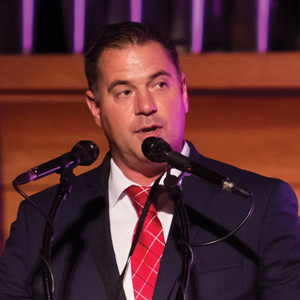 Derrin Lamker ’97 was inducted into the Augsburg Athletic Hall of Fame in recognition of his successes on the football, basketball, and baseball teams. A quarterback in football, Lamker led the Auggies to the 1997 MIAC title and a spot in the NCAA Division III national quarterfinals. He earned All-MIAC honors in 1996 and 1997. He was the conference MVP in 1997, in addition to earning All-America honors and finalist honors for the Gagliardi Trophy (Division III Player of the Year). Joe Lavin ’97 had an outstanding pitching career on the Augsburg baseball team. An ace during the mid-’90s, Lavin earned All-MIAC and All-Midwest Region second-team honors in 1995, while earning conference Player of the Week honors multiple times. He had a 1.42 ERA in conference play with five complete games, a shutout, and 41 strikeouts against only 16 walks and 32 hits in 1995, while winning three games on the mound in 1994 and four in 1996. Eric Rolland ’97, the Augsburg men’s and women’s golf head coach, teaches students a lifelong sport each spring in the campus dome. Read more about the Augsburg Air Structure. Jasha Johnston ’00 and Carrie (McCabe) Johnston ’02 opened their third restaurant, Mortimer’s, in the Whittier neighborhood of Minneapolis. The new venue features live music, an updated menu, and a family-friendly atmosphere. In addition to their new venture, the Johnstons own Nightingale Restaurant and Tilt Pinball Bar. Three-sport athlete Brenda (Selander) Mitshulis ’02 was inducted into the Augsburg Athletic Hall of Fame. Mitshulis was an All-MIAC honoree in 2000 and All-MIAC Honorable Mention honoree in 1999 in soccer, where she finished her career with 15 goals and four assists for 34 career points. She led the Auggies in scoring in three seasons. In hockey, she was a member of the 1998–99 and 1999–2000 MIAC title squads and the 2000 national runner-up team. She also played two seasons of softball. Dual sport athlete Rachel Ekholm ’03 was inducted into the Augsburg Athletic Hall of Fame. One of the best softball players in school history, Ekholm earned All-MIAC honors three times, while earning NFCA All-Region honors twice. As a pitcher, she won 39 career games with a 2.45 ERA and 347 strikeouts. She hit .389 and holds school records for home runs, triples, RBI, and slugging percentage. She also played in 60 career games in basketball, averaging 9.1 points and 2.3 rebounds per game. Softball Head Coach Melissa Lee ’04 said the Augsburg air structure helped save the team’s 2018 season. Read more about the Augsburg Air Structure. This year, Augsburg’s Excellence in Coaching Award recognized Jim Gunderson ’06. 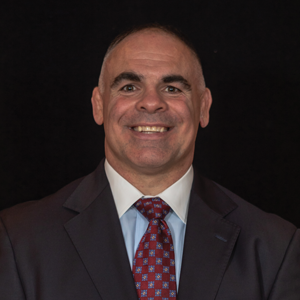 Gunderson is in his fourth season as football head coach at the Academy of Holy Angels in Richfield, Minnesota, after serving for 14 years as an assistant coach. He has also served as track and field head coach since 2012. In football, his team won the Minnesota Class AAAA state title in 2017, with Gunderson being named the Minnesota Football State Class AAAA Coach of the Year. Joshua Harris ’08 received a First Decade Award at Homecoming. His life and work in the past 10 years embodies Augsburg’s pursuit of social justice, equity, and inclusion. 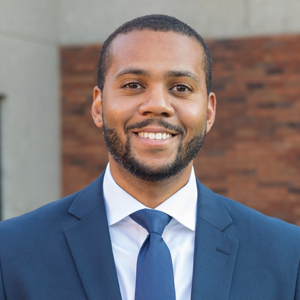 Since graduating from Augsburg with a degree in communication studies, he has devoted his career to public leadership and making a difference in his community. He ran for mayor of Baltimore in 2016, becoming the youngest person ever to run for the office. He also sits on the boards of several Baltimore community initiatives and is the co-founder of a nonprofit fostering revitalization. 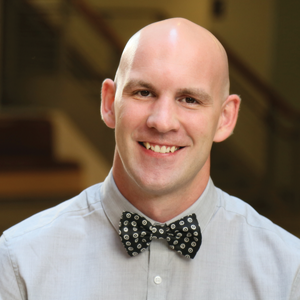 Brian Krohn ’08, Ph.D., received a First Decade Award at Homecoming. After earning a degree in chemistry, researching biofuel, and becoming Augsburg’s first Rhodes Scholar, Krohn founded companies Mighty Axe Hops and Magic Wizard Staff. He earned a doctorate from the University of Minnesota as an Environmental Protection Agency Fellow and master’s degrees from the University of Oxford in environmental change and science. He was an Innovation Fellow at the U of M’s Medical Devices Center and is CEO of Soundly, an app-based therapy to reduce snoring—an initiative funded by the National Institutes of Health and the National Science Foundation. Killa Marti ’08, J.D., received a First Decade Award at Homecoming because she embodies Augsburg’s values through her thoughtful stewardship, critical thinking, and rigorous pursuit of justice and equity. 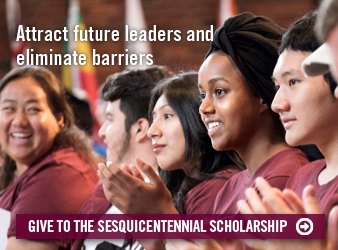 After graduating from Augsburg with a major in international relations and a minor in economics, Marti earned a law degree so that she could serve immigrant communities. She has worked with the Immigrant Law Center of Minnesota and several law firms, has founded her own law practice in the Atlanta area, and has worked tirelessly for her law clients in districts and cases where the decks were stacked against them. Former Augsburg cheerleader Cassandra Roschen ’08 returned to Fairmont High School to coach the cheerleading squad. Roschen, a former Fairmont cheerleader, taught current students sideline cheers and routines. She also extended her service to include team building and community outreach with the squad. Chris Stedman ’08 received a First Decade Award at Homecoming for his robust intellectual engagement as an informed citizen and critical thinker. A religion major with minors in English and social welfare, he earned a master’s degree in religion from Meadville Lombard Theological School at the University of Chicago. 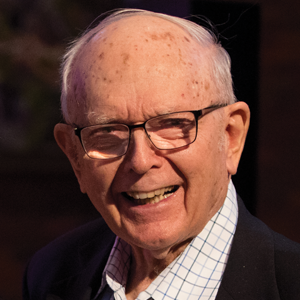 He was the founding executive director of the Humanist Center of Minnesota, founded the Yale Humanist Community, and was a humanist chaplain at Harvard. Stedman is the author of “Faitheist: How an Atheist Found Common Ground with the Religious” (Beacon Press, 2012). Caitlin (Hozeny) Lienard ’09, ’17 MSW and Seth Lienard ’11, ’16 MBA were married on September 23, 2017, in Stillwater, Minnesota. There were several Auggies in attendance. Pictured are [front, L to R]: Seth Lienard, Caitlin (Hozeny) Lienard, Morgan (Bray) Thompson ’09, Amanda (Chmiel) Spence ’09 [back, L to R]: Wade Wojick ’11, Ryan Wilsey ’12, Erika Osterbur ’11, Aren Olsen ’11, Luke Lienard ’16, Aaron Rosell, Stefan Swanson, Sheridan Lienard, Lindsey Graff ’11, and Ben Krouse-Gagne ’11. 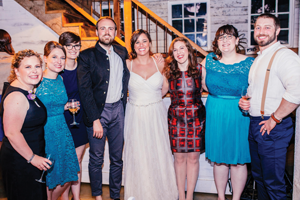 Jonathan Chrastek ’10 and Katie Pendo ’10 were married on July 7 in Leesburg, Virginia. 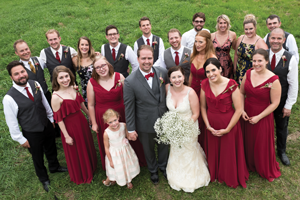 Several Augsburg alumni joined the couple as they celebrated their wedding, which was officiated by Sylvia Bull ’10 and Emily Wiles ’10. Augsburg alumni Alissa Nolan ’09, Nick Blixt ’10, and Cait Kortum ’10 were in the wedding party, and Kate Edelen ’11 was in attendance. Laura (Schmidt) DuSchane ’11 and Seth Lienard ’11, ’16 MBA opened a new business venture called Fretless Marketing that provides social media and event marketing services for small businesses. Their company website is fretlessmarketing.com. Ted Nielsen ’11 started a new job at Edward Jones as a financial advisor. Nielsen assists individuals and families with long-term investing. Nielsen previously worked with Thrivent and graduated from Augsburg with a bachelor’s degree in English. 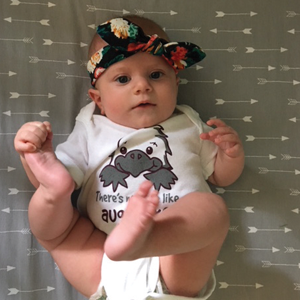 Janelle (Christensen) Nelson ’12 welcomed a daughter, Kennedy Elaine, in April. Nelson majored in art history. Her grandfather also attended Augsburg. Kimberly Simmonds ’12 was promoted to a program assistant with the City of Minneapolis. Simmonds majored in history at Augsburg before receiving her master’s in public administration in 2014. 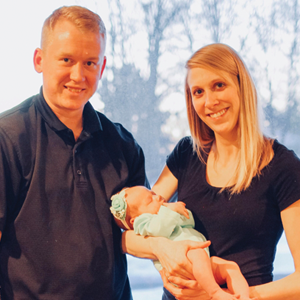 Rick Wolke ’12 and Ashley (Carney) Wolke ’13 welcomed Aurora Jo Wolke on January 8. Rick and Ashley both majored in business administration/economics. 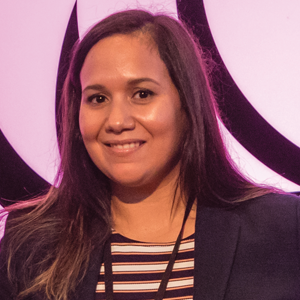 Alexandra Buffalohead ’13 started a new role as manager of art and cultural engagement with the Native American Community Development Institute. Buffalohead earned a bachelor’s degree in studio arts at Augsburg. 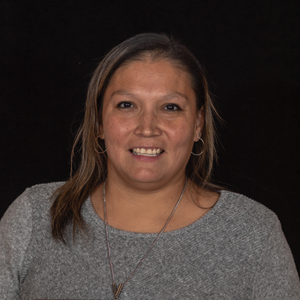 She has since served as a graphic designer for the American Indian Cancer Foundation and as a communications officer for the Indian Land Tenure Foundation. 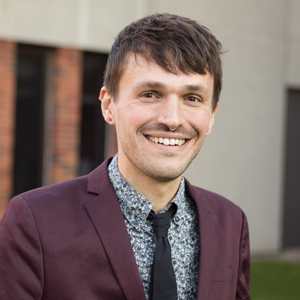 Augsburg alumnus Scott Cooper ’13 returned to the university this August as a full-time staff member serving as an alumni engagement manager. Cooper started his undergraduate degree at Martin Luther College in New Ulm, Minnesota, before transferring to Augsburg in 2011 where he completed a bachelor’s degree in communication. Cooper was a member of the Augsburg Choir and the 2012 and 2013 Auggie football teams. Prior to joining Augsburg’s Alumni and Constituent Relations staff, Cooper served in Minneapolis Public Schools’ high school special education programs. In his free time, Cooper has enjoyed public speaking engagements in which he has discussed his experiences as an Auggie football player. Tyler Heaps ’13 is a manager of analytics and research at the United States Soccer Federation. SportTechie, an online resource devoted to covering topics at the intersection of sports and technology, interviewed Heaps regarding his work within the federation tracking players and opponents using innovative technologies. Heaps is working to standardize analysis and support across all soccer levels and teams to ensure the federation can effectively track players within the system. The Chicago Tribune wrote about Dustin Ritchea ’13, who returned to live and work in his hometown of Chesterton, Indiana. Ritchea serves as a promotions director for Indiana Dunes Tourism and also works as an actor, producer, songwriter, and writer. 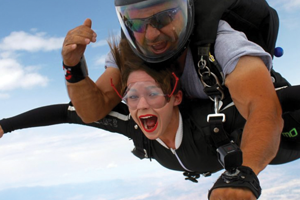 Nikki (Ludwig) Darst ’15 started a new job with Black Line Group as a research and development tax manager. She graduated from Augsburg with a degree in accounting management. Fekireselassie Beyene ’16 participated in undergraduate research that contributed to success after graduation. Read more about the Banner Year in Student Success. The Twin Cities Arts Reader interviewed Brid Henry ’16 regarding her work in the Minneapolis theater scene. 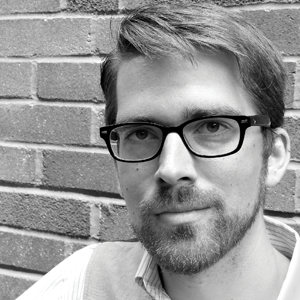 Henry has performed in the Minnesota Fringe Festival and has directed and co-produced the first year of the Minneapolis branch of the Future Is Female Festival. 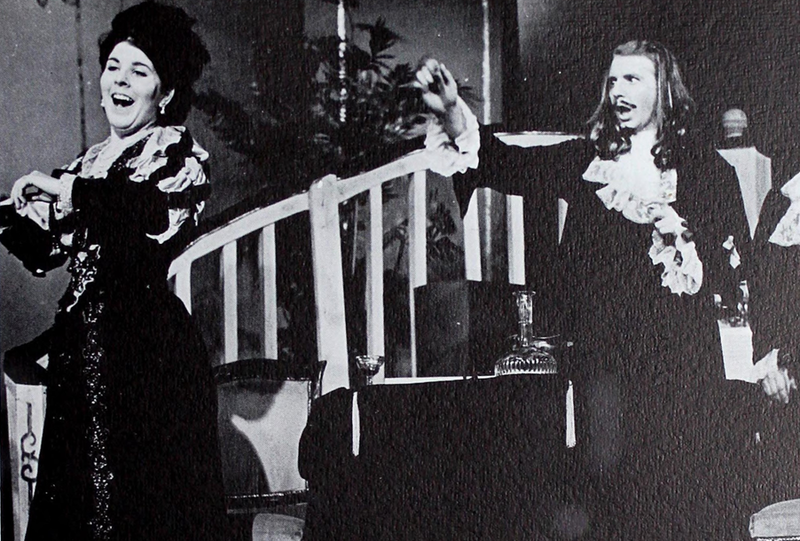 Henry chose to study theater at Augsburg because the university’s program was ranked among the top opportunities outside of New York. Jack Swift ’17 recently started a new role with In The Groove Music as a publishing assistant. As an Augsburg student, Swift majored in business administration with an emphasis on music business. Vision Bagonza ’17 conducted research through the Office of Undergraduate Research and Graduate Opportunity. Read more about the Banner Year in Student Success. The NBC Nightly News featured Neil King ’18 in a story about his success at Augsburg in the StepUP® Program. After graduating from Augsburg and StepUP, King started a master’s degree in integrated behavioral health at the University of Minnesota. Read more about the NBC Nightly News feature. Chung Eang Lip ’18 started a new role as a graduate school teaching assistant at Columbia University in New York City. Lip is working on a Master of Public Health degree with a concentration in infectious disease epidemiology. St. Olaf College hired Gregory Mitchell ’18 as a wide receivers coach for the 2018 season. Mitchell was a receiver on the Augsburg football team. He previously coached receivers at Centennial High School and Southwest High School. Blair Stewig ’18 and Abigail Tetzlaff ’18 delved into student research with the Office of Undergraduate Research and Graduate Opportunity. Read more about the Banner Year in Student Success. Matthew Halley ’97 MSW serves as executive director for Cookie Cart, a nonprofit youth program that equips young people with employment and life skills. Halley was interviewed by the St. Paul Pioneer Press for an article highlighting the program’s continuing success since its founding in 1988. Halley is focused on expanding the program by adding more youth workers. This spring, Education Minnesota named Kelly (Sheehan) Holstine ’12 MAE the 2018 Teacher of the Year. 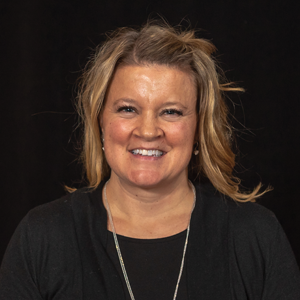 An English teacher at Tokata Learning Center, an alternative high school in Shakopee, Holstine created a new English curriculum and developed policies that the school has implemented. Lavender Magazine featured Holstine’s accolades and focus on diversity in education. As Teacher of the Year, Holstine is an ambassador for 86,000 teachers in Minnesota. 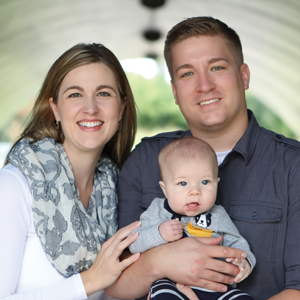 Laura (Swanson) Lindahl ’15 MBA and her husband, David, welcomed a son, Lawson Robert, on April 26. Orville “Joe” Hognander Jr. received a Spirit of Augsburg Award at Homecoming for his thoughtful stewardship and responsible leadership. Although he was not a student at Augsburg, he is a noteworthy Auggie through and through. His grandfather was an Augsburg graduate more than 100 years ago, his parents were highly involved in the music program, and his ties to alumni and faculty run deep. A retired naval officer and private investor now living in Edina, Minnesota, Hognander’s longstanding involvement with Augsburg speaks to a family history of commitment and engagement, particularly in the continued support of Augsburg’s Department of Music. 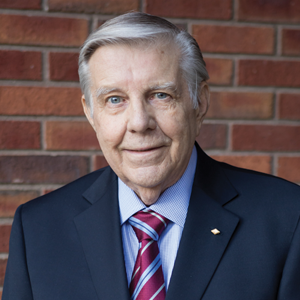 Professor Emeritus John Holum, Ph.D., received a Spirit of Augsburg Award at Homecoming. A beloved retired professor whose legacy spans more than 30 years, Holum is a prolific writer who has published dozens of scientific textbooks and peer-reviewed papers. He came to Augsburg with a doctorate in organic chemistry and taught chemistry until his retirement in 1993. Holum, who lives in St. Paul, Minnesota, has demonstrated a lifelong passion for academic excellence and support for students on their educational journeys.